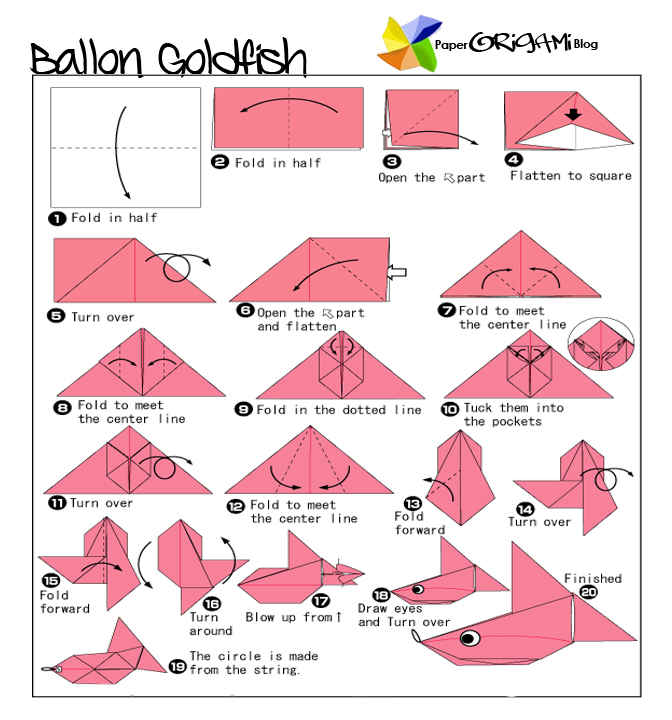 Fun Origami: Ballon Goldfish A relatively small member of the carp family (which also includes the koi carp and the crucian carp), the goldfish is a domesticated version of a less-colorful carp (Carassius auratus) native to east Asia. 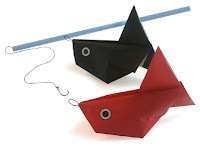 It was first domesticated in China more than a thousand years ago, and several distinct breeds have since been developed. Goldfish breeds vary greatly in size, body shape, fin configuration and coloration (various combinations of white, yellow, orange, red, brown, and black are known).